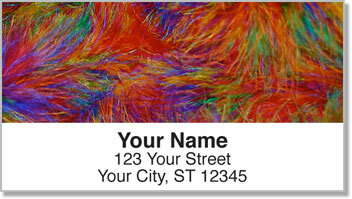 Add boldness and vibrancy to anything and everything you mail when you use these unique return address labels featuring colorful feathers! 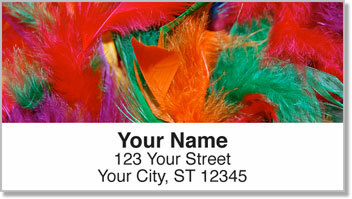 Flashy Feather Address Labels were designed for CheckAdvantage customers with colorful personalities. You turn heads when you walk in a room and make an impression on everyone you meet! Now you can leave your mark on letters and packages too! You'll love how much time you save by cutting out the routine task of writing your name and address on every envelope. These convenient, self-adhesive labels can also be used to identify things like luggage as your personal property. 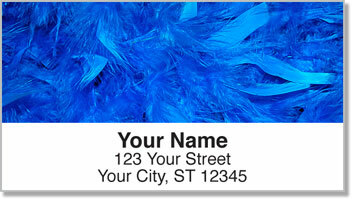 Get your own Flashy Feather Address Labels now! 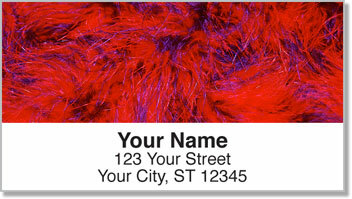 This attractive design can also be ordered as a set of matching personal checks.